With these tools the project is able to decrease air pollution and generally to revitalise the city. In addition, the sewer systems are relieved because the high permeability of the natural surfaces can store more rainwater. Biodiversity in cities is usually mostly limited to parks, gardens or cemeteries. Vegetable streets also have a positive influence in this respect. 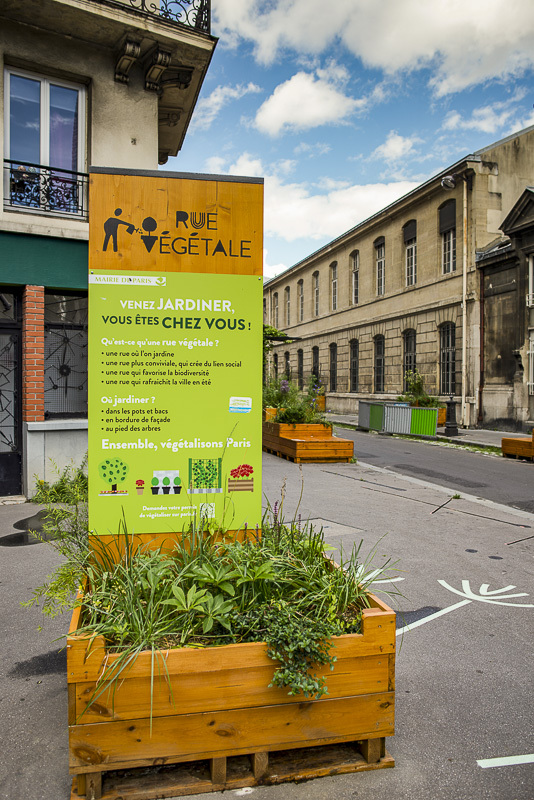 Because of all these benefits a vegetable street is planned in all districts of Paris. The success and sustainability of the measure builds on the cooperation between administration and local residents. Continuous negotiations and joint implementations, to fulfil the needs and requirements of both parties, are the key points in this case. Side by side with the municipality the project enables the locals to create a street life which fits perfectly into their daily life and at the same time increase their quality of life.